Novelist Alice McDermott made a rare appearance before an audience last night at the Parker Metal Building in Baltimore. She was interviewed by Jay Perman, the president of the University of Maryland,Baltimore, which sponsored the event, and she was acutely intelligent, articulate, and personable. 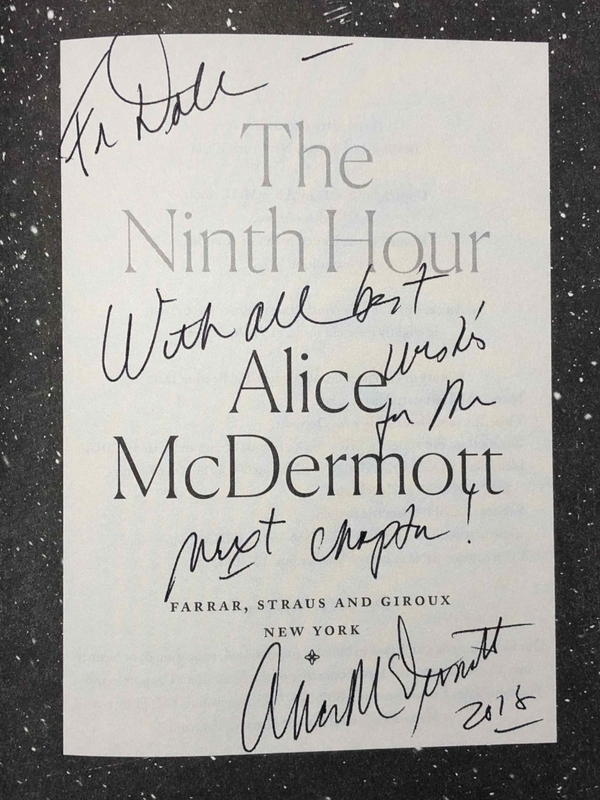 I have been in Perman's seat as an onstage interlocutor, and McDermott was everything you could ask for in a guest. As human beings, we have access to astonishment, if only we pay enough attention. This is an interesting planet. It deserves all the attention you can give it. Ten times a day something happens to me like this—some strengthening throb of amazement—some good sweet empathic ping and swell. This is the first, the wildest, and the wisest thing I know: that the soul exists and is built entirely out of attentiveness. There is no improving on that.